Patron Archbishop George Njaralakatt was born on 23.06.1946 at Arakuzha in the Archdiocese of Ernakulam (now in the diocese of Kothamangalam). He had his Elementary School studies at Arakuzha. He completed SSLC in 1963 at St. Thomas High School, Nadavayal and he was admitted in St. Joseph’s Minor Seminary, Tellichery by Bishop Mar Sebastian Valloppilly. He did his philosophy and theology at St. Joseph’s Pontifical Seminary at Mangalapuzha, Aluva. He was ordained priest for the diocese of Tellichery by Bishop Mar Sebastian Valloppilly on 20.12.1971 in St. Joseph’s Cathedral Church, Tellichery. He holds a BA degree from the University of Mysore. He took Licentiate in Catechetical Theology from Pontifical Salesian University, Rome, in 1983-86. On 29.08.2014 Bishop Mar Njaralakatt was elected by the Holy Synod of Syro Malabar Church as the Metropolitan Archbishop of Tellicherry as Archbishop Mar George Valiamttam tended his resignation upon reaching retirement age. Bishop Njaralakatt was installed as the Archbishop on 30.10.2014 and assumed office on the same day. He is the direct heir of the patrimony of Tellicherry as he was ordained a priest by the legendary first bishop of Tellicherry, Mar Sebastian Valloppilly of happy memory (1953-1989) and a bishop by Mar George Valiamttam, the second bishop (1989-1995) and first archbishop (1995-2014) of Tellicherry. Fr. 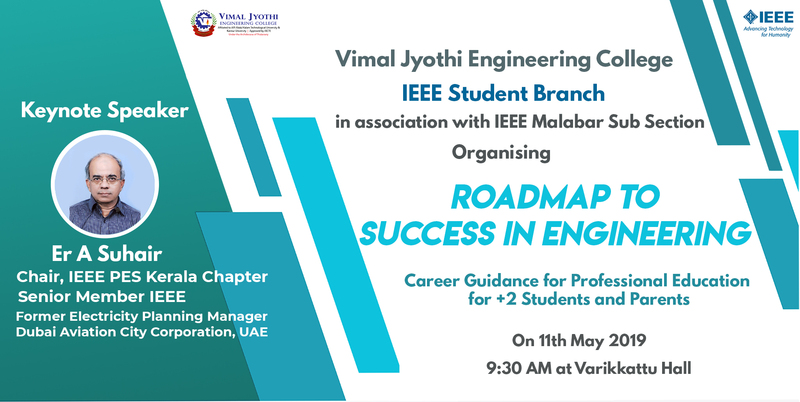 Dr. Thomas Melvettath, is the 3rd Chairman of Vimal Jyothi Engineering College (VJEC) and Vimal Jyothi Institute of Management & Research (VJIM). He has a Masters in Theology and earned a doctorate in Catechism from Pontifical Salesian University, Rome in 2002.He is serving Syro-Malabar Catechetical Commission and Catechism Expert Committee as a member since 2003. He held many positions during the period 2003 to 2012 as the Director of Sandesbhavan (Pastoral Centre), Thirubalasaghyam, Mission League, AKCC, Vincent De Paul, Archdiocesan Consultant Member and Jagratha-Samithi of Tellicherry Archdiocese. From 2012 to 2016, he was the Forane Vicar in Devamatha Forane Church, Paisakari and extended his service as the Manager of the Devamatha Arts & Science College, Devamatha HSS and Bhagavathpatha ITC. He is a source of unwavering support and inspirationand is dedicated to fulfil the dream of bringing up the institute into a Center of Excellence for Technical Education. Fr. George Asarikunnel is the Fourth Bursar of Vimal Jyothi Engineering College and Vimal Jyothi Institute of Management & Research, Chemperi. He belongs to Archdiocese of Thalassery. He hails from Kallar Parish, Kasaragod. In his fourteen years of priestly services he served six parishes as a parish priest successfully in Kerala and Karnataka. A post graduate in Management with dual specialization in Finance and Marketing from Rajagiri School of Management, Cochin under MG University. He is a post graduate diploma holder in Human Resource Management. He also possesses UGC NET qualification. 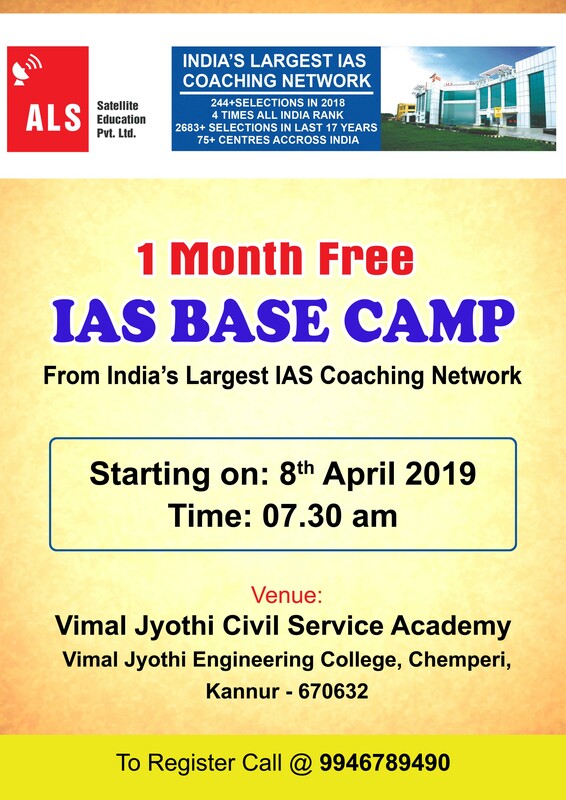 He is serving the Vimal Jyothi Engineering College as the Administrator, heading the HR Department and Faculty under Applied Science and Humanities department since 2008. He is also working as the Asst. Professor and Administrator and in Vimal Jyothi Institute of Management and Research, Chemperi since 2010. 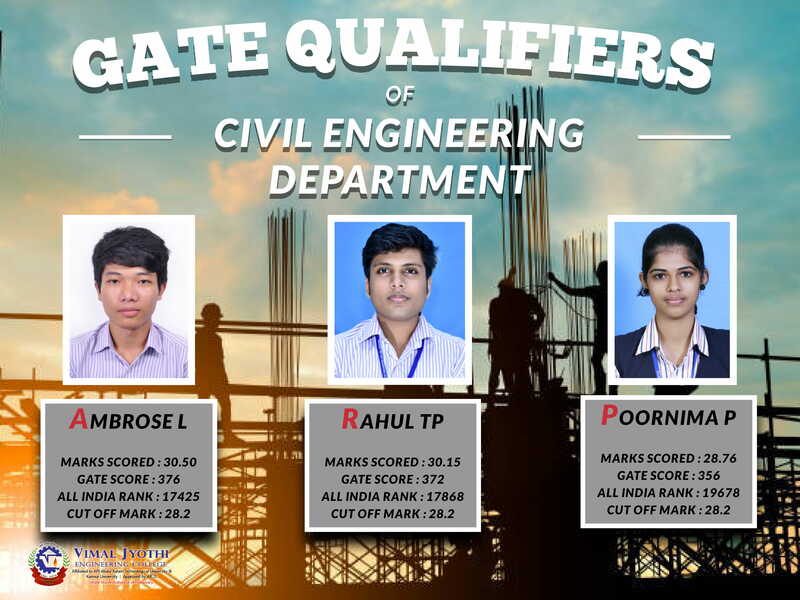 He is having 4 years of administrative experience in parishes of the Archdiocese of Thalassery. His areas of interest are HRM, HRPD, recruiting and staffing functions, strategy formulation, advertisement and branding of the institutions, ERP solutions. He has undergone many FDP programs and instrumented to organize the events of both Institutions since 2008. Rev.Dr. George Valiamattam, the Archbishop of Tellicherry, is a far sighted visionary under whose leadership the Vimal Jyothi Institutions are managed. He had his school education at Nariveli and Punnathara and minor seminary studies at St. Mary’s Thop, Thrissur, Philosophical Studies at Carmelgiri, Aluva and Theological studies at the Propaganda University, Rome. He was awarded doctorate in theology from the Gregorian University, Rome in 1967. Rev. Fr Geo Pulickal, is the second Chairman of Vimal Jyothi Engineering College and Vimal Jyothi Institute of Management & Research, Chemperi. He is an academician with 20 years of teaching experience and M Phil holder in Malayalam from Calicut University, post graduated in Malayalam (Calicut University) and Philosophy (Karnataka University). He served in different significant key positions as the Principal of Nirmalagiri College, Senate member of Calicut and Kannur Universities, Academic Council Member of Kannur University, Rector of Good Shepherd Major Seminary – Kunnoth, Director of Bl.John PaulII Formation Centre. He is a renowned orator and author of many books. He contributed a lot in the field of translation and associated with many significant projects. He is a Member of different administrative bodies of the Archdiocese of Thalassery as Presbytorial Council, Pastoral Council, Board of Consultants. He is having the credit of awards like Siksha Rathan Puraskar by International Friendship Society, Best Citizens of India Award, Christian Literary Academy award. He has written articles and poems in various journals; Resource person for Teachers’ training programmes, Personality Development Seminars, Oratory Training programmes; headed many Inter-Religious conferences, youth seminars. Msgr. 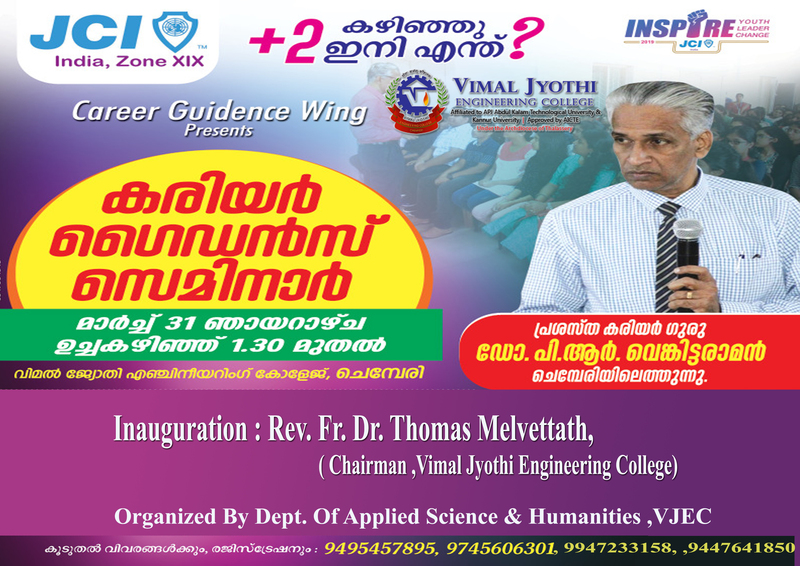 Mathew M Chalil, the Vicar General of the Archdiocese of Tellicherry, has been the founder Chairman of Vimal Jyothi Engineering College and Vimal Jyothi Institute of Management & Research, Chemperi. A post graduate in Sociology, he has been instrumental in transforming the spiritual, social, cultural and educational tenets of Malabar region and has been called the ‘Builder of Modern Chemperi’. He has held various positions both at the church and at the corporate circle. He was Corporate Manager, Tellicherry Diocese for 17 years. He is a Member of the Senate, Calicut University and Treasurer of All Kerala Aided Schools Managers Association, Kerala. He is currently Member, Board of Directors of Deepika; Chairman, Meshar Diocesan Educational Trust; Manager, Nirmalagiri College’ and Chairman, TSSS Community College. He has been conferred several awards of which ‘Mar Kariatty Award 2009’, Akshara Award 2010, Vaidika Sreshta Award 2010, and Bharat Gaurav Puraskar 2011 deserve special mention. A post graduate in Philosophy and a bachelor degree holder in theology and education, Fr. George Nelluvelil, has been serving the church for about 48 years in various capacities. He is currently the Bursar of Vimal Jyothi Engg. 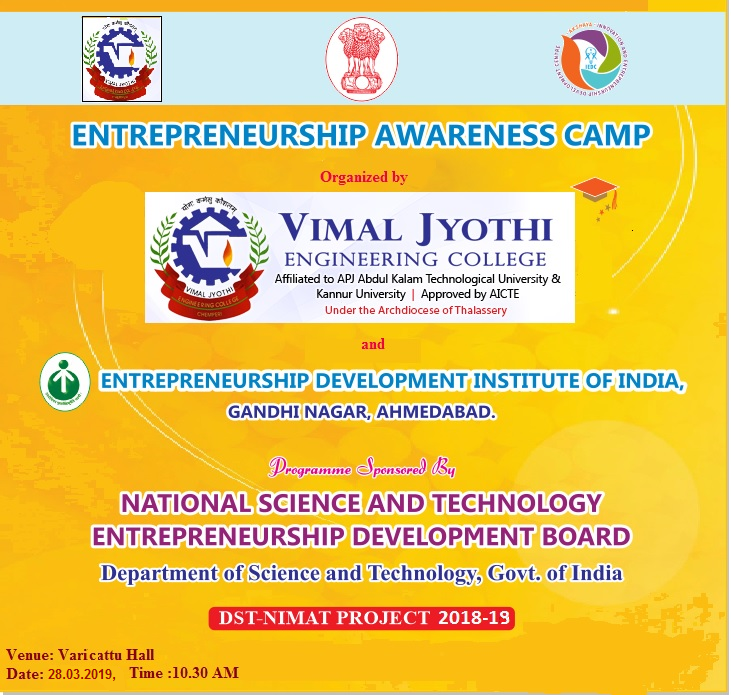 College and Vimal Jyothi Institute of Management & Research, Chemperi.